We need water to survive but the pollution in the environment leads us to doubt the safety of our drinking water. We purchase purified drinking water and simply use tap water for bathing or cleaning, but not for cooking and drinking. Well, there is an alternative solution and instead of buying purified drinking water, you can opt to have a drinking water treatment system installed in your home. There are several processes that you can choose from. This way, you will know how your drinking water becomes purified. You can ask professionals to set up a full water treatment system or point of use water treatment. The cost varies, depending on the type you choose. Purified water can only be achieved through a water treatment process. It leaves the water free from all bacteria, impurities, chemicals and toxins, among others. However, purified water should not be confused with distilled water. Distilled water is actually a type of purified water and it is considered to be the most pure form of water. The distillation process involves heating the water until it evaporates and turns into steam. Afterwards, it is allowed to condense, thus turning it back to water; only this time, it is already free from any contaminants. Activated carbon helps to make water more palatable. Activated carbon filters can be in the form of point-of-use faucet filter, water pitchers with carbon filters, or a house water system. The filter works by trapping the impurities in the filter and denying them entry through the faucet or pitcher. The color and smell of the water can be improved by these filters as well. Activated carbon filter is effective for use in treated tap water, which refers to water that comes from a municipal or public source that has been treated beforehand. However, this process cannot remove the bacteria and chemical residues so it is always best to check out other types of drinking water treatment processes as an alternative. There are other types of drinking water treatment processes that households and businesses use today. They may be a bit expensive than the ones we are accustomed to but a lot of people consider it as an investment. 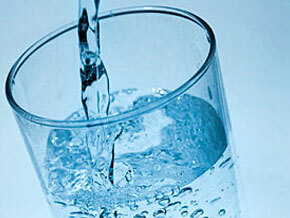 Reverse Osmosis Water Treatment uses osmotic pressure to remove impurities or elements in the water. It is a highly effective water treatment system. Ultraviolet Water Treatment reduces the presence of chemical, bacteria and lead in the water, by using ultraviolet light. At $150 upwards, you can get a point-of-use unit for your home. Ozone Water Treatment uses ozone gas that is dissolved in the water through an ozonation system. Iron, sulfur and manganese concentrations can be dissolved and odor is also eliminated. Membrane Water Treatment can be either electric driven or pressure driven. An example is the reverse osmosis treatment. This uses a semi-permeable membrane wherein the water is forced to pass through, thereby clearing it of impurities.